06 of 20. Here is a very clever use of colors. Using white glitter instead of white ink together with red ink over green ornaments makes this Glass custom ornament : eye popping, shimmery work of art that conveys logo wrapped in really festive Holiday design that sparkles with joy. 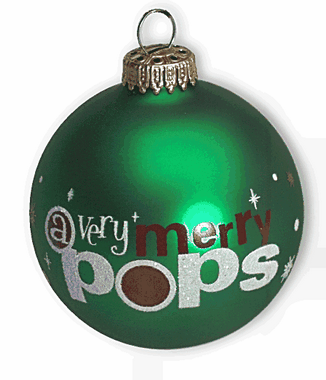 This is called 2 color screen print 360 degree ornament where we print in one solid ink color and one glitter color.